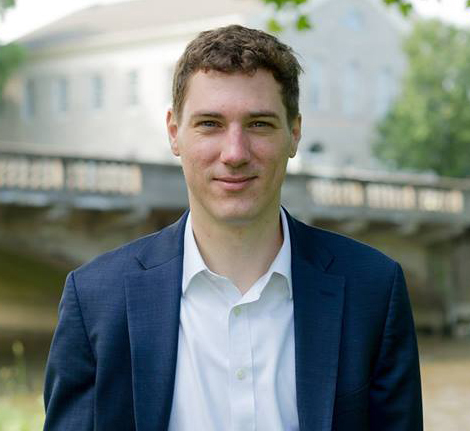 Josh Maxwell is currently serving in his third term as the Mayor of Downingtown; he has revived a non-profit that has resulted in $200 million dollars in investments in Downingtown, and he has a BA from West Chester University, as well as a Masters of Public Administration from the University of Pennsylvania. Josh Maxwell is also only 35 years old. Now, Josh is looking to bring his considerable talents to the position of Chester County Commissioner. Josh has lived in Chester County his entire life. He has an intimate knowledge of the challenges we face as a community and he has the expertise required to make the changes necessary to overcome those obstacles. Josh was elected as the Mayor of Downingtown in 2010, for those keeping track that means he was elected when he was 26 years old. While most 26 year olds are more concerned with spending time with friends or figuring out their career options, Josh dedicate his time to his community. This perfectly exemplifies Josh’s inability to stand idly by when he sees a situation that he believes he can improve for the good of others. This has been a constant theme throughout his career thus far. It may be common sense that someone in Josh’s position would support social and economic issues at the local, state, and national level. But what about the international level? The Mayor of Downingtown is a part-time position, and rather than look for a career that might serve as a respite to his responsibilities as a public servant, Josh feels he has an obligation to do more. That is why he works as a United States Agency for International Development (USAID) contractor, helping to develop international development programs around the world, in addition to all that he does for the residents of Chester County. All human beings, no matter where they live in the world, are receiving Josh’s best efforts to improve the quality of their lives. It is not uncommon for someone with the same level of ambitiousness as Josh Maxwell to spread themselves so thin that they cannot achieve results in any one endeavor. That need not apply to Josh. On top of his work with the Men Can End Domestic Violence Campaign, the Coatesville area NAACP, and the Mayors Against Illegal Guns coalition (among others); Josh has also balanced 6 straight no-tax increase budgets and negotiated the largest public and private investment in Downingtown’s history. Josh is confident he will be able to bring this effectiveness to all the people of Chester County. To learn more about Josh, visit his website or Facebook page. A county commission is a group of elected officials charged with administering the county government. The Chester County commission is made up of three individuals.